Image flicker is a behavior commonly found on monitors where images shown on-screen will appear as a series of short duration impulses instead of staying on-screen constantly until they have to be replaced by the next image. Flicker has a large impact on the appearance of motion. Its appearance can either be an intentional method to improve motion clarity (usually referred to as black frame insertion or backlight strobing) or simply a side effect of the screen's brightness adjustment system (PWM Flicker). 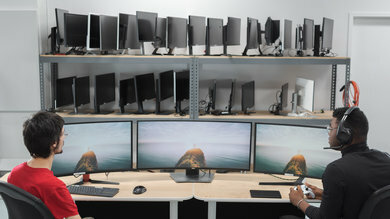 Using image flicker on LCD monitors is similar to how traditional CRT monitors would show the image, as it would periodically scan down the screen and send an impulse to every row as it was being fed the video signal. 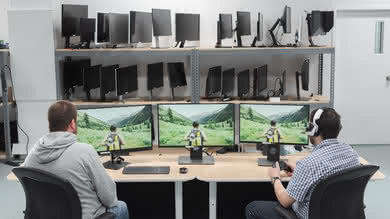 To test the flickering on monitors, we measure, using a photodiode-equipped tool, the frequency at which the screen flickers, and if it has options for it, the different settings which alter the function. We also measure the different frequencies at which the screen's flickering feature can be used. If you want to see our test for TVs, check our "Image Flicker of TVs" article. 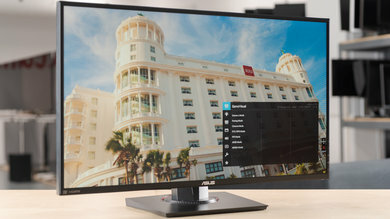 It is common for monitors to use flicker to reduce the brightness of their display. This is called pulse width modulation dimming (PWM for short), and it works by reducing the amount of time the backlight is turned on during every impulse. The shorter the impulse, the darker the image. 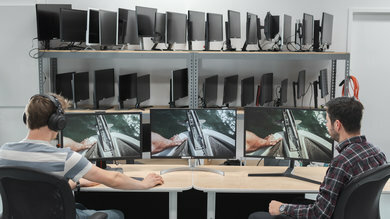 While it is fairly common for people to think of flicker as an annoyance, this technique grew common as a cheaper alternative for controlling the backlight of monitors. 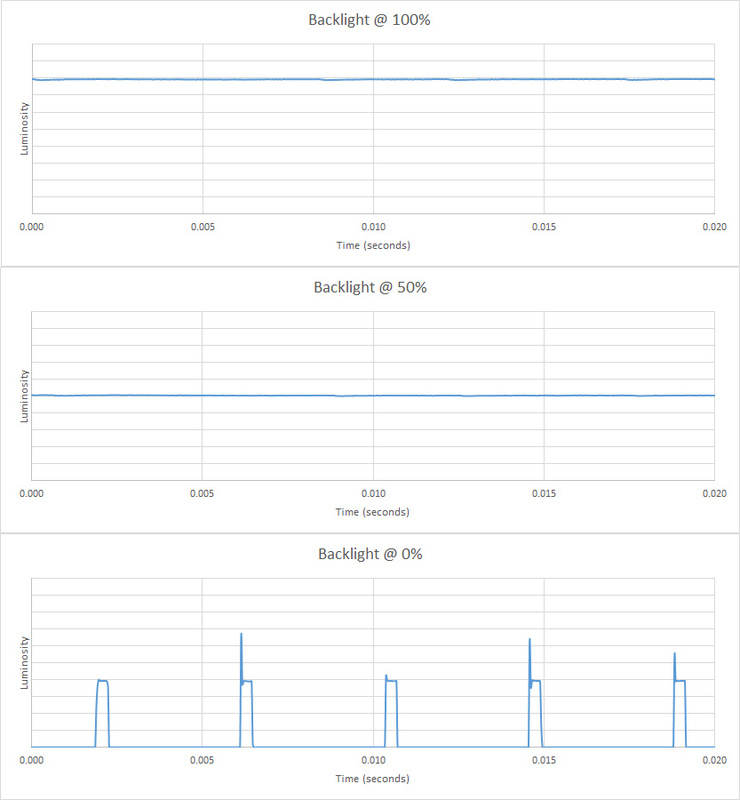 PWM can also have unfortunate effects on motion performance. While it generally improves the clarity of motion, it often replaces the blurriness of standard sample and hold screens (flicker-free) with a doubling effect which can be equally distracting. In some cases though, it can even make motion clarity worse if the impulse happens out-of-sync with the changing frames. 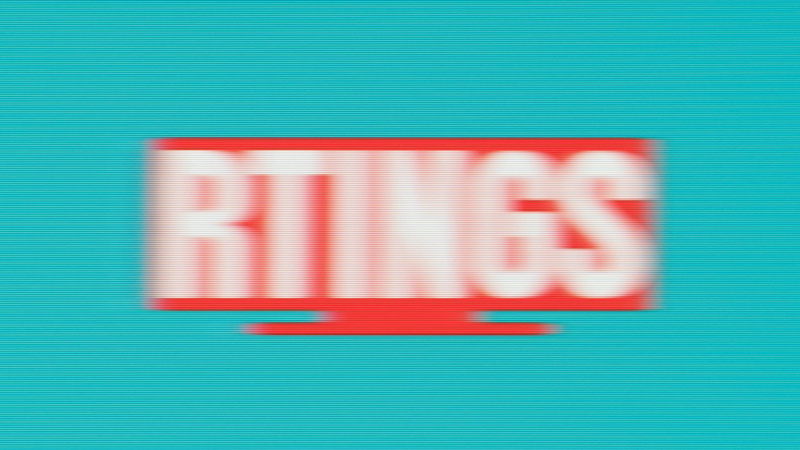 Some monitors, however, have an intentional flickering function. 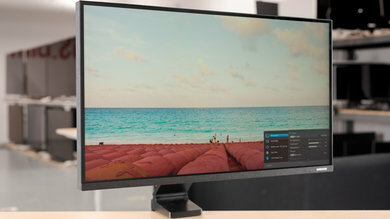 In these cases, the monitor can be usually used as standard with a flicker-free backlight but offers a blur reduction feature that enables backlight flicker at a frequency matching the refresh rate of the display. 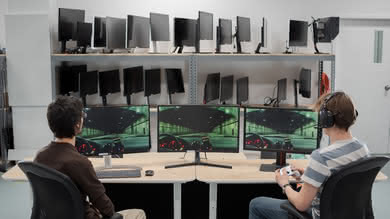 This greatly enhances the motion clarity of most screens and is quite popular for gaming. 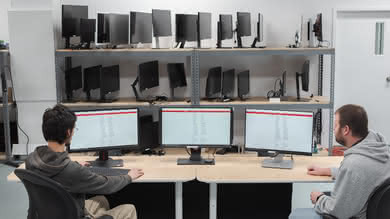 It is not uncommon for monitors to use pulse width modulation to dim their screens, and the frequency used by their system has a strong impact on both motion quality and eye fatigue. 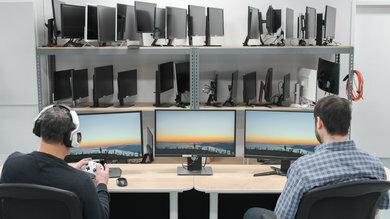 To better showcase the differences between the two, let's compare two monitors with similar pixel response times but distinct dimming systems. 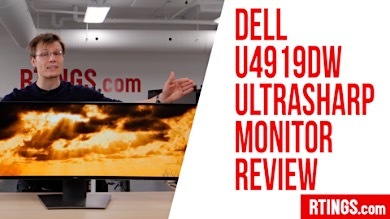 As you can see from the chart above, this Dell monitor's luminance remains constant across time. This means it does not use flicker, and images remain on-screen for the entire duration of the frame. 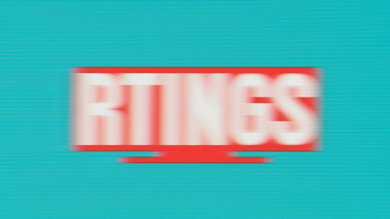 On a standard 60Hz signal, this means that each image remains on screen for approximately 16.67ms (1 second/60) until it is replaced by the nest frame. As there is no flicker, there is no gap between the different frames and blend together. This makes for very comfortable viewing, but the motion produced by this technique can be a bit blurry at lower refresh rates due to what is called persistence blur. 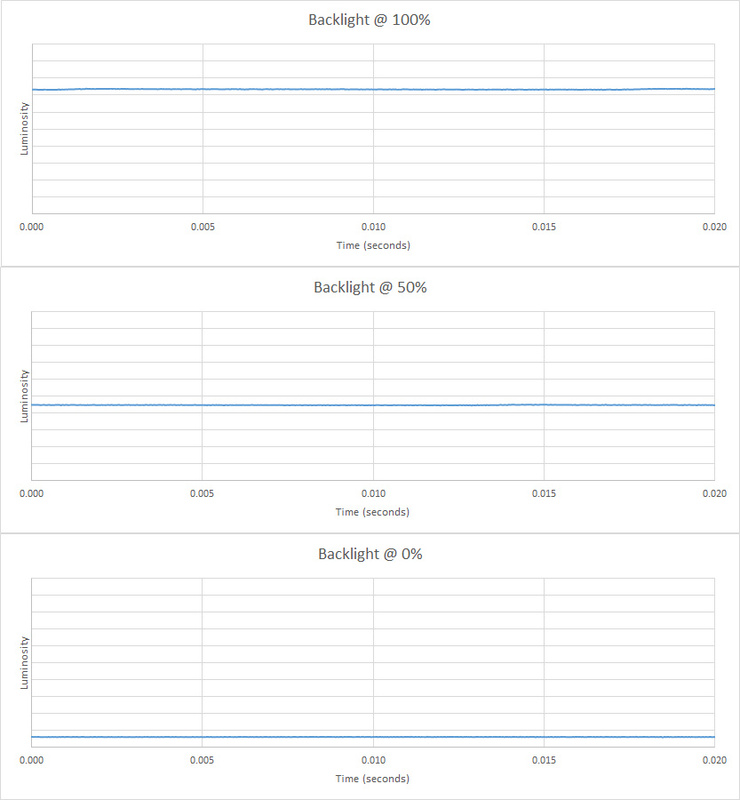 In comparison, this Samsung monitor's luminance does not remain constant at lower backlight settings. Instead of reducing the intensity of the LEDs, it only turns them on for a fraction of the time to reduce the amount of light it outputs. This is called 'pulse-width modulation'. In this case, the frequency of the flicker is 240Hz. As you can see in the motion blur picture, this leads to sharper, less blurry edges, but since the frequency does not match the original framerate, it creates visible steps to the motion (in this case, the pattern is quadrupled). It being better or worse than the normal blur is subjective, but since this is not dedicated to blur reduction, it can be quite inconsistent. 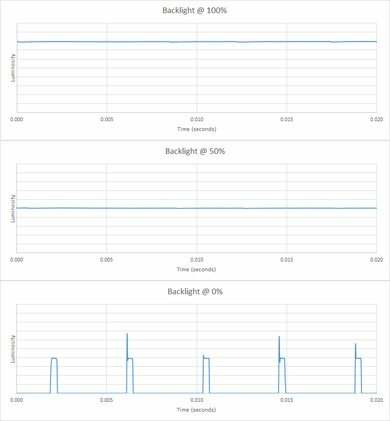 For this test, we measure, using our dedicated tool, the frequency used by the monitor's backlight at different levels of brightness. The tool is placed on the screen over a white image, and measurements are taken at maximum backlight, 50% backlight, and minimum backlight. A constant light output that does not flicker is optimal, as a dedicated flicker function should be user-controllable. 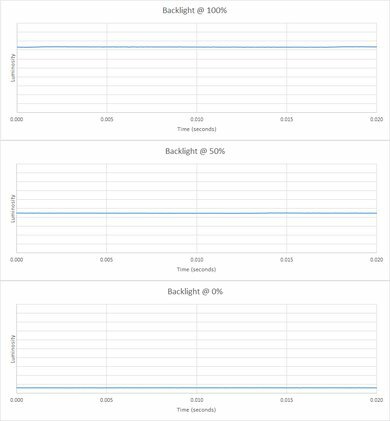 For our black frame insertion test, monitors need to offer a way to enable a dedicated flickering feature to introduce black intervals between each frame. This emulates the behavior of impulse-driven CRT screens, where the image is shown on-screen as soon as it is received and only for a short span of time. 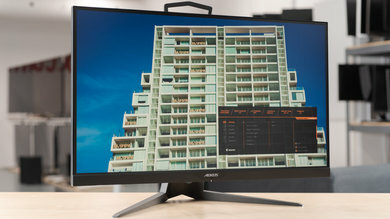 Monitors that flicker by default need to offer a way to adjust the flickering frequency to match the refresh rate of the screen to pass this test. This behavior can be observed using the same methodology used in our PWM dimming frequency test. The BFI Maximum Frequency is the highest frequency the BFI feature of the monitor is capable of operating at. It is common for monitors to have a BFI frequency slightly below their maximum refresh rate. This causes the refresh rate of the monitor to be reduced when that feature is enabled. 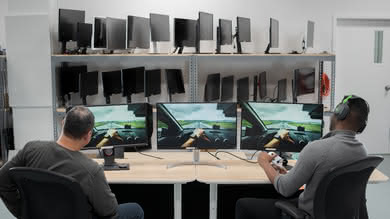 The optimal result in this test is a maximum BFI frequency that matches the screen's maximum refresh rate. The BFI Minimum Frequency is the lowest refresh rate at which the black frame insertion feature can be enabled. This is useful for users that want to use this feature with a console that only outputs at a standard 60Hz frequency. The theoretical best value is 1Hz, but most people tend to find frequencies under 100Hz distracting. 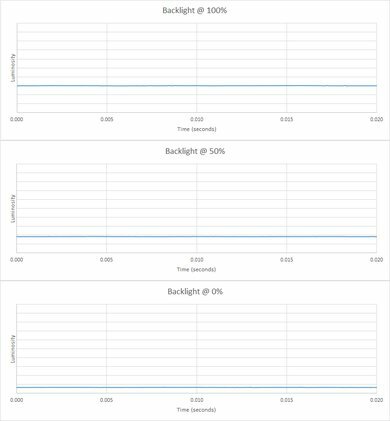 While image flicker has a very strong effect on motion quality, other aspects like pixel response times and refresh rates are similarly impactful. Because of this, it's important to consider these factors as well when looking for optimal motion performance. 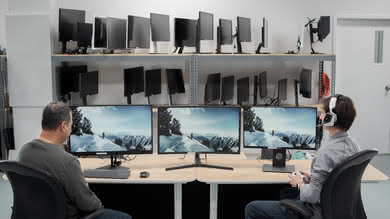 Some older gaming monitors like the Asus VG248QE were originally meant as 3D monitors and to use their higher refresh rate for active 3D functions. In later revisions of their 3D Vision program, NVIDIA also added a feature called "lightboost" which was meant to improve the quality of 3D in a few ways, one of them being reducing motion blur. Users caught on to this feature and with a few hacks made it work in the monitor's normal 2D Mode. 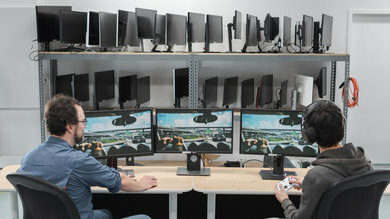 NVIDIA, later on, introduced G-SYNC (learn about it here) which included Ultra Low Motion Blur as a basic feature. 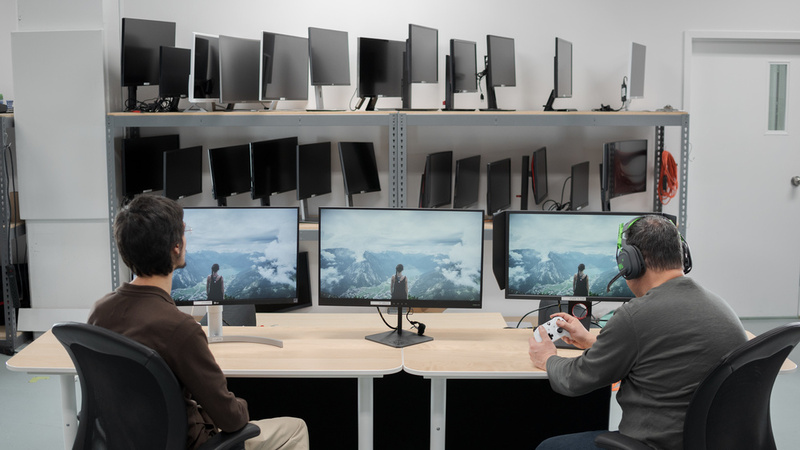 While it is not usable in conjunction with variable refresh rates, it means that every G-sync monitor comes packaged with a backlight flicker feature. 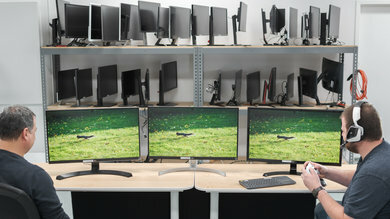 As seen in the Samsung monitor above, it is most common for flicker to appear at lower backlight settings of the monitor. 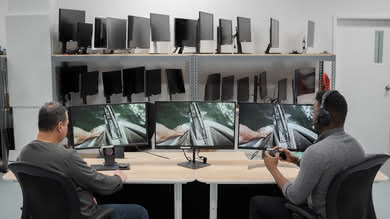 To easily check the lowest point at which you can set your monitor without tripping the PWM switch, set it to minimum, then wave your hand in front of the screen. 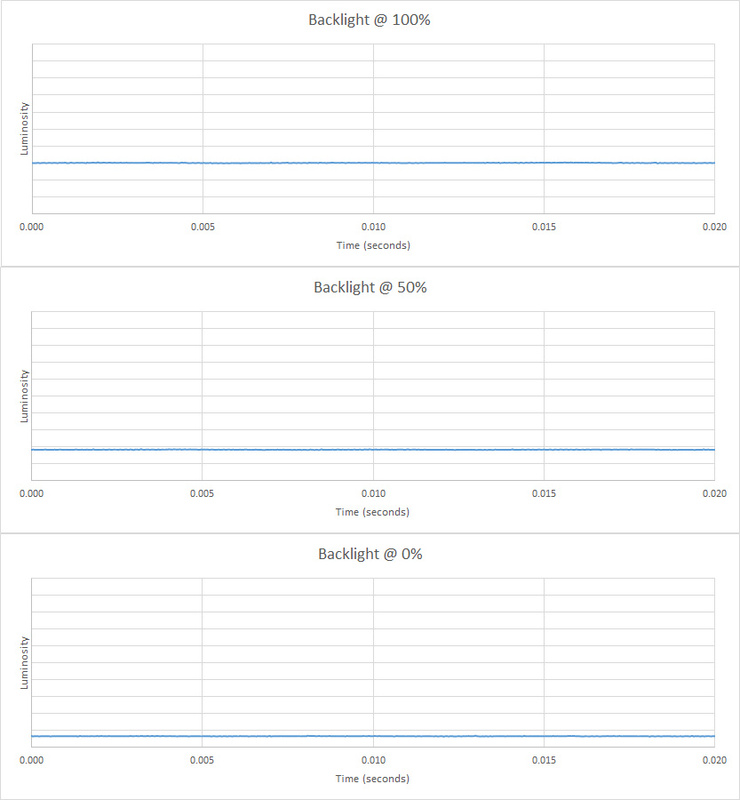 If your monitor uses flicker, you should see a stroboscopic effect (doubling). Raise the backlight setting until this effect is not visible anymore. 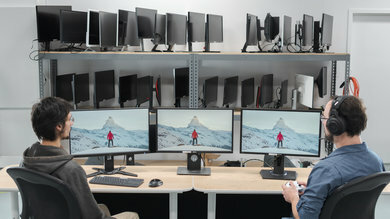 Monitors have two major ways of displaying images on their screen, sample and hold or impulse-driving. 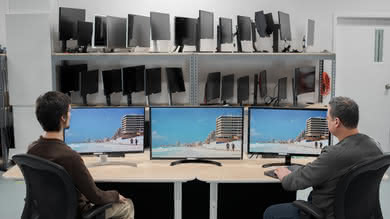 Most LCD monitors use a sample and hold system where images stay displayed until they are replaced by the next frame. 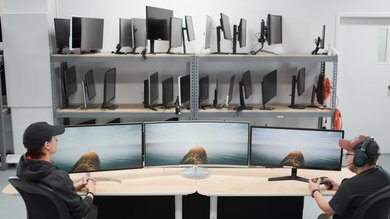 Some LCD monitors offer a feature that emulates the impulse-driving mechanism of older CRT monitors by flickering the backlight of their screen. This can greatly improve the clarity of motion, but it introduces flicker which some users find fatiguing. Some monitors also flicker by default, as they alter their flickering to adjust the brightness output of the screen. This is generally seen as undesirable. 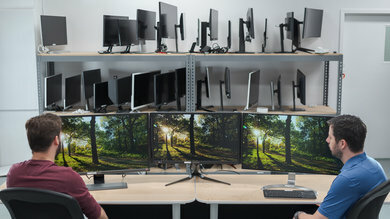 We test for flicker by measuring the frequency of the monitor's backlight using a photodiode under a number of conditions, as well as evaluating the monitor's ability to adjust flicker-related features.